Created by Pope Francis in June 2015 as a means of unifying the Vatican’s communications offices, the secretariat fields all requests from film producers for access to Vatican property and the pope. A green light is given based on the quality of the proposed project, without preference for big or small budget projects, language group or country, Msgr. Vigano told Catholic News Service May 17. A Japanese made-for-television documentary called “Michaelangelo’s Vatican,” a German TV special on the 90th birthday of retired Pope Benedict XVI, and a French project highlighting women working at the Vatican are among the bigger projects Msgr. Vigano’s office recently authorized. Even the Netflix claim to “dominion” over a set in the shadow of the St. Peter’s colonnade was not absolute. The production company requested rights to archival images of the 2005 and 2013 conclaves from the Vatican for the film they are producing on the relationship between Pope Benedict and Pope Francis, he said. Until the Wim Wenders documentary “Pope Francis: A Man of His Word,” which premiered in early May at the Cannes Film Festival, the current pontiff was never directly involved in any motion picture. Pope Francis often “told me that he isn’t an actor and doesn’t want to be an actor,” Msgr. Vigano explained. On that basis, he said, the Vatican had always denied requests from production companies to make a day-in-the-life film of Pope Francis, as had been done with Pope Pius XII and St. John XXIII. Above all, the pope, in merely explaining themes important to his pontificate, wouldn’t be acting, he said. In addition to listing the desired filming locations and equipment to be used, applicants must disclose their interview subjects, an overview of questions to be asked and an outline of the film’s purpose and content. “If questions arise in reading the script, we ask that a part be clarified,” Msgr. Vigano said of the review process, but a film is neither rejected or accepted on that basis alone. When the Media Projects Office of the secretariat agrees to cooperate with a film in development, there “a pact of trust” that the filmmaker will not misrepresent the church, he said. 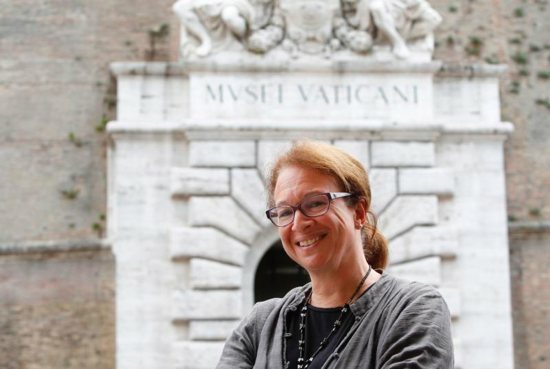 According to Elizabeth Lev, an art historian who has been a consultant for several major film and television projects, including director Ron Howard’s “Angels and Demons,” the element of risk explains why the Vatican prefers documentaries and doesn’t cooperate with fiction films. “What happens with that footage in a creative piece of work can always be altered,” she said. “And obviously Bernini, had he lived today, would have been a movie director. The way he unites all of the arts, he is thinking of something that is much more 360 artistically,” Lev said. On the other hand, the current principle that “you can put no constraint on art whatsoever,” makes it difficult for the church to make works of art like it once did, she said. “Rome is very limited in terms of where it is and the structures it has and the means it has” to promote new faith-based cinema, said Irish Bishop Paul Tighe, adjunct secretary of the Pontifical Council for Culture. “What I think would be important would be to ask different bishops’ conferences around the world to engage locally with some cinema makers and with TV makers,” he said. What is really needed to promote good cinema is to encourage, locally, film students “to think about and reflect how they would portray issues of faith” on the big screen, he said.